China has announced the execution this day of “homicide criminal” Xia Junfeng, a kebab vendor from Shenyang. This case has been in the public eye for several years, and the predominant sentiment has been sympathetic towards the condemned man. Xia and his wife Zhang Jing were part of China’s vast population of working urban poor, Xia having found his way into job insecurity by virtue of a layoff from the state electricity company. In the entrepreneurial spirit of the age, Xia started up an unlicensed business selling sausages and the like. These denizens of the gray economy are, as a class, afflicted by the attentions of the City Urban Administrative and Law Enforcement Bureau, better known as the chengguan. Their benign job description entails administering municipal regulations, but this much-loathed force’s relationship to everyday citizens is perhaps best illustrated by the word chengguan‘s status as a shorthand neologism for bullying and abuse. Too many people know this goon squad firsthand, and too many stories of their worst excesses have circulated. Just this past July, the chengguan made headlines by killing a watermelon vendor. In the violent confrontation at issue in today’s execution, the chengguan chengguanned Xia Junfeng in May 2009. Xia fought back with his meat-carving knife, and slew two of his tormenters. 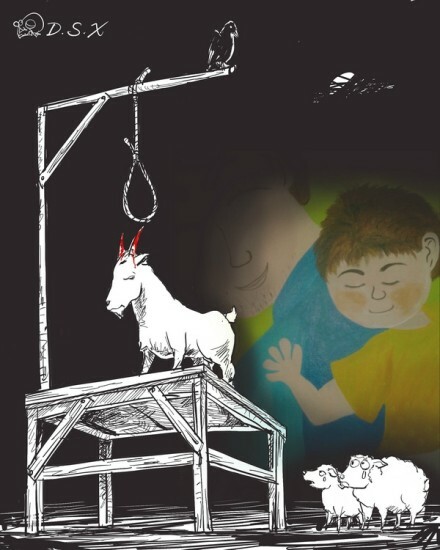 Death penalty cases redolent of the social stratification and institutional corruption that ordinary Chinese people experience have proven to be lightning rods in recent years. This allegation didn’t fly in court, where brother chengguan denied that they’d been abusing the shishkebaber, but it’s won in a rout when it comes to the court of public opinion. 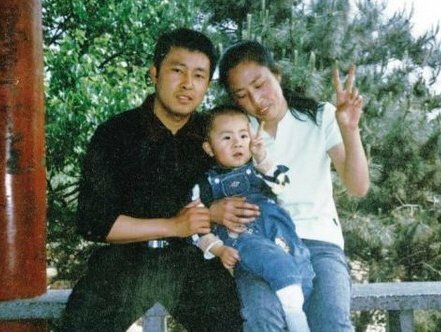 “His life and death are more than just a legal matter, but a bellwether of the era, with the tsunami-like public opinion firmly on the side of Xia Junfeng,” wrote author Yi Chen today. Particularly galling for many is the disparity in treatment between Xia Junfeng and the likes of Gu Kailai, the latter a powerful business and political figure who was able to avoid execution despite being convicted of a scandalous contract murder. And Chengguan themselves never seem to be at risk of harsh punishment for any misbehavior; had Xia Junfeng been the one to leave that confrontation in a body bag, there certainly wouldn’t have been a death penalty case. Anonymous cartoon circulated on Weibo criticizing Xia Junfeng’s condemnation. (Via) The drawing of the boy in the background was done by Xia’s son, whose art school fees were earned by his father’s roadside business. Chinese speakers might want to peruse the Weibo feed of Xia’s widow. * Several years ago, self-defense helped a Beijing migrat worker avoid execution for killing a chengguan who attempted to confiscate his bicycle cart.